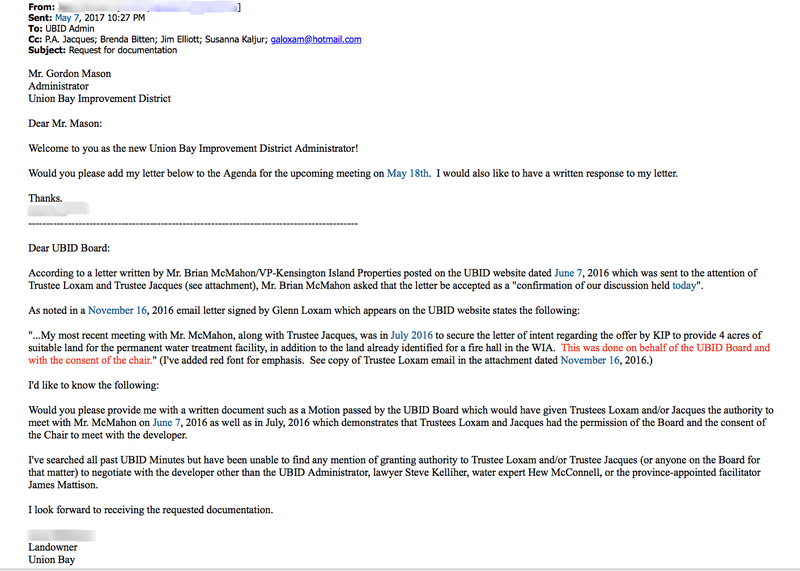 So a landowner sent the following email to the UBID board of trustees asking the letter be put on the agenda for the next meeting. This is the response received. 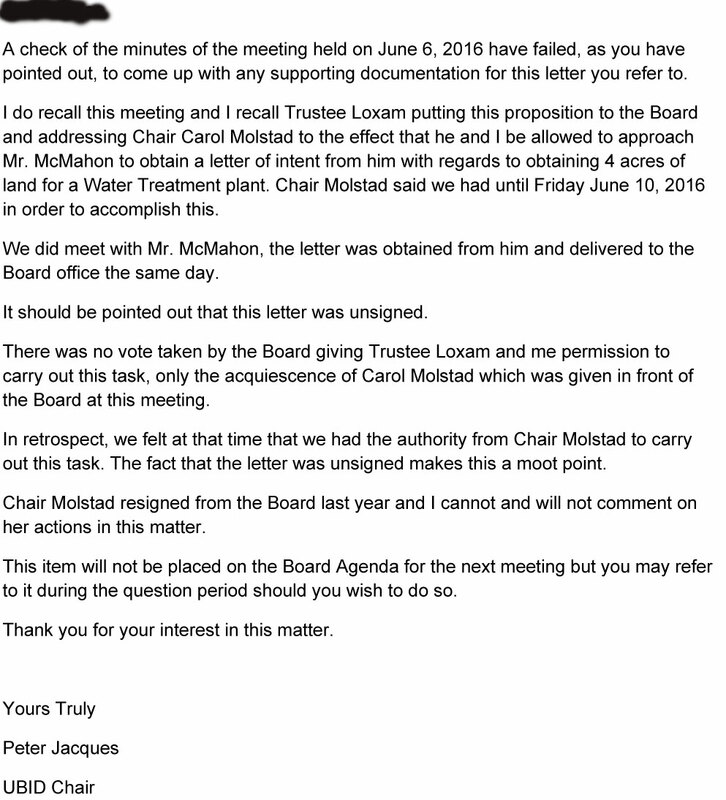 You will note it was not sent to any of the remaining 4 trustees, has no date and the chair decides it won’t be on the agenda. The Chair offers the landowner to bring up the matter during question period at the meeting. There is just so many things wrong with this response. Previous Post Union Bay Improvement District Gong Show Tonight at 7 p.m.